The MLB Trade Deadline is still three days away, but a major move was made late on Monday night. The Toronto Blue Jays, already owners of one of the best offenses in the league, acquired shortstop Troy Tulowitzki from the Colorado Rockies in exchange for Jose Reyes, and minor league prospects Jeff Hoffman, Miguel Castro and Jesus Tinoco. 21-year veteran reliever LaTroy Hawkins was also included in the package heading to Toronto. With the addition of Tulowitzki and Hawkins the Blue Jays have a 41.8 percent of making the playoffs, according to FanGraphs. That’s the fifth highest odds in the American League, which would place them as the second Wild Card team. Toronto enters Tuesday seven games back of the New York Yankees in the American League East. The Blue Jays are set to start an extended homestand, which ends on August 6. 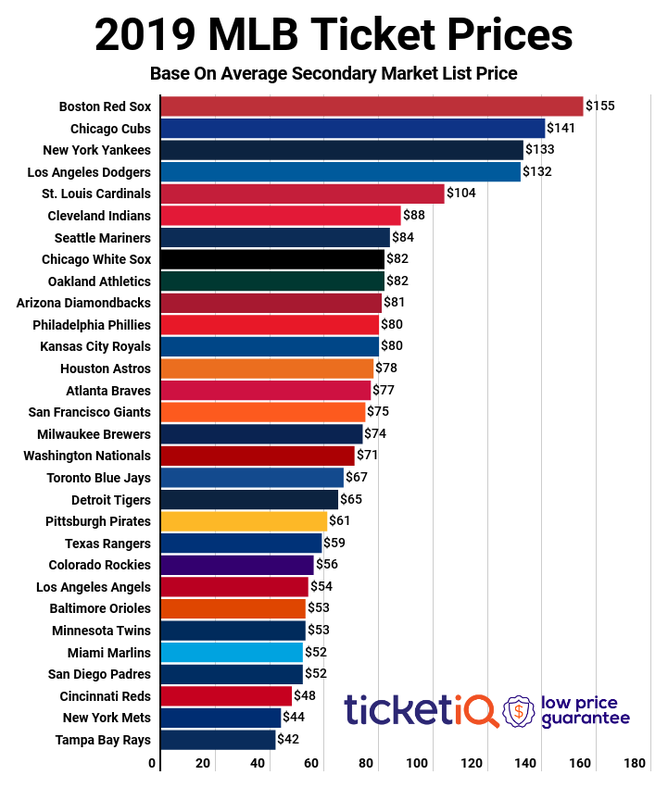 Over the next 10 games at home, Blue Jays tickets have just a $60.76 average price on the secondary market. Toronto will start a brief two-game series with the Philadelphia Phillies on Tuesday night, but Tulowitzki is not expected to be in the lineup until Wednesday night’s game. The current average price for that game is $56.20 with a get-in price of only $9. The shortstop will fit nicely in the heart of the order with third baseman Josh Donaldson and outfielder Jose Bautista in a lineup that already leads the American League in slugging percentage. Another game of note during the homestand will come on the trade deadline itself, Friday, July 31. In the second game of a four-game series against the Kansas City Royals, the Blue Jays will face starter Johnny Cueto in his first start for the Royals. Kansas City acquired Cueto from the Cincinnati Reds on Sunday for three minor league pitchers. The current average price for that game is $63.76 with a get-in price of $9 on the secondary market. A daytime start the following day will be the most expensive game of the homestand with an average of $70.51 and get-in price of $10.